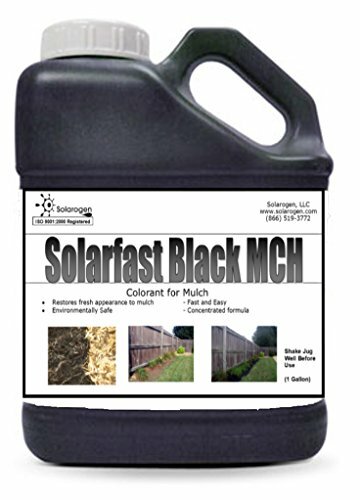 Solarfast Black Mulch Paint is a colorant used to restore faded mulch back to its original color. It is environmentally friendly and does not contain hazardous chemicals, heavy metals or other ingredients that are known to be harmful to the environment. Using Solarfast Black Mulch Paint is the quick, easy, and economical way of improving your landscape's overall appearance.